What is a SUNQ bus Pass? 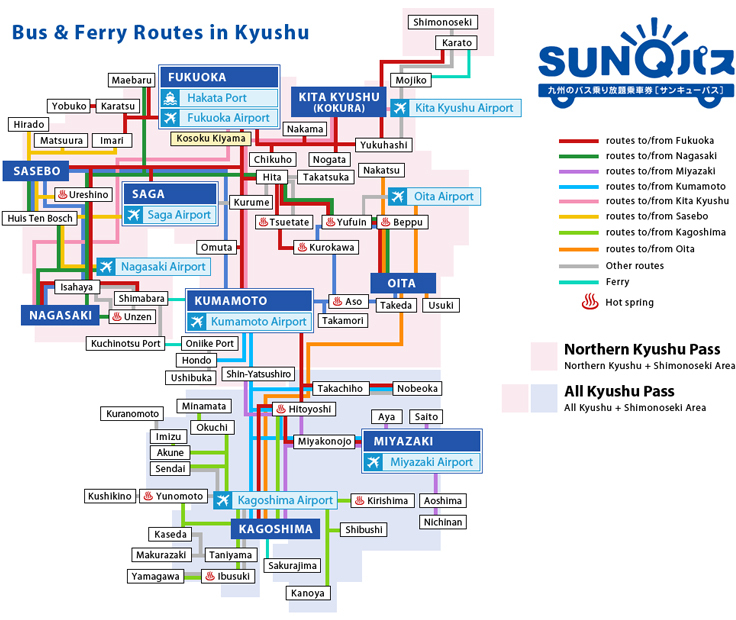 A SUNQ Pass is a bus pass which offers unlimited travel for 3 or 4 consecutive days on almost all express coaches and local buses within Kyushu and Shimonoseki. For express coaches, you will be required to book a seat in advance. This is available a month prior to boarding day. You can board local buses without booking a seat in advance. We will book a seat on your behalf when you have purchased your SUNQ Pass from us. A pass holder can travel as much as they wish for 3 or 4 consecutive days. 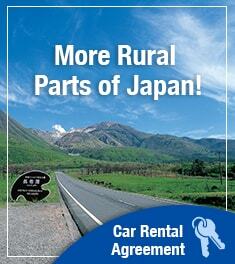 Purchased SunQ Passes will be sent to your hotel in Japan prior to your arrival there, ready for collection and use. 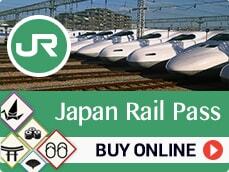 Unfortunately, the passes are not e-tickets, they are physical passes, so cannot be sent via e-mail.